Since Peñasco is such an easy drive over the border, many visitors love to bring their FLFFMs (four-legged furry family members) with them. Many of these regulations fall under “Import and Export of Live Animals”, but the rules always seem to be open to interpretation. You might or might not have any of your documentation checked, but please avoid delays and possibly horrible situations by being prepared before you go. If you decide to travel further into Mexico, the chances of having your paperwork checked will increase. Also, any time there is a whisper of swine flu, mad cow disease, or bird flu, be prepared for more thorough inspections. This info is compiled from APHIS (Animal and Plant Health Inspection Service, a department within the USDA), the CDC (Centers for Disease Control) and SENASICA (Mexico’s National Service for Health, Agriculture, and Safety). Of course, always check to see if there are any changes in regulations as they seem to change frequently. Dogs and cats are the only pets allowed to travel in and out of Mexico. Although you may love your pet iguanas, birds, bunnies, hamsters, turtles, etc., please leave them at home for vacation. This also means you can’t acquire any of these other animals and bring them back to the US. Bringing pet food over the border is a bit of a gray area. From what I’ve read, Mexico doesn’t want the import of any pet food of “ruminant origin” (eg: beef or lamb). Technically you’re only allowed to bring “a day’s ration”, and I’ve even heard that people have had their pet food confiscated at the border. If you’re staying more than the weekend, please consider buying American branded pet food at Sam’s club and donate what you don’t use to local dog shelters. They’ll be thrilled to have it! Don’t forget that most pets aren’t great with abrupt switches in their food, so mix the new food with their regular brand for a few days to help them get used to it. Although the tap water in Peñasco is treated, it still may upset your pet’s stomach and you might want to bring bottled water. Also keep in mind that salt water can also upset their tummies. There’s a limit of two FLFFMs per person, and a total of three without incurring any import charges. (This also might or might not be enforced.) If you need to bring four or more pets, contact SENASICA for an import certificate ($125 USD). Proof that your FLFFM is current on her rabies and distemper vaccines, including vaccine lot numbers, administered not less than 30 days prior. (Mexico now recognizes the 3-year vaccine given in the US/Canada. 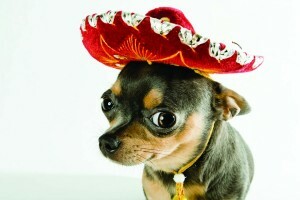 If your pet received her last rabies shot in Mexico, it will be the standard 1-year vaccine.) To return to the US, the same 30 day minimum applies. If she just got vaccinated, she might be quarantined. Please print out this form and have it copied onto your vet’s letterhead. If your FLFFM looks like she is in poor health, you might be prevented from entering either country until further tests are done. Tip: Photocopy your pet’s photo and your drivers’ license to the reverse of the health certificate. Remember that Mexico doesn’t have much of a budget for animal control. Therefore, there are always stray dogs (not too many cats) roaming the streets. These animals will often have worms and ticks (which can cause ehrlichiosis and Rocky Mountain Spotted Fever), so you’ll want to keep your dog on a leash at all times. In addition, sometimes poisoned food is purposefully left out to eliminate strays. If your dog does run away, be sure she has an easy to read ID tag with your cell phone number so she’s not assumed to be a stray. Make multiple copies of everything and always keep one set on you in case you’re asked or need help to find her. Be vigilant with topical meds which KILL ticks and fleas (not only repel them) and chewable meds for heartworm which can be carried by mosquitos. Servicios Medicos Veterinarios, Sonora Blvd & Galeana, Rocky Point, (638) 383-3344. Both are also skilled in pet orthopedics for broken legs, etc. Last but not least, please be a responsible pet owner. No one wants a surprise between their toes while walking through the sand. Bring LOTS of pet waste bags to clean up after your FLFFM, and be prepared with extra water and shade when visiting the beach. I never had the need (nor all my friends with dogs) for the health certificate. The only time was when I moved back to Rocky Point from Puerto Vallarta, I flew, when flying, an actual health certificate was required and MY Vallarta vet made one for $15. The Lukeville/Sonoyta border, not required, just the vaccination record. Now about the kitten. I came from Tucson with a kitten for my friend. The kitten was one month old. The Mexican side required her shot records. Idiots. She was only 1 month and the rules say 3 months. Kitten was “exempt” but they didnt care. My friend driving, she spoke Spanish to them and thanks to her, we crossed with the kitten. The border is inconsistent with their rules. I suggest ASK those that go cross often. Recently we asked about bringing turkeys. We heard the new rules from the guards themselves with a written pamphlet. Some in Rocky Point argued that was wrong. SO many interpretations! Just be ready for anything. Our theory is that you can never be overly prepared. We bring it all just in case. We’ve never had a problem but hear the stories of those that have had, though they seem to be rare. That’s correct. The aduana office can ask you for a pet health certificate any time you are coming into Mexico.